Goji/Wolfberry are deep-red berries commonly grown in the north-central and western areas of China. These miracle berries are well known as healthy food which are naturally rich in antioxidants (beta carotene) , B-complex vitamins, Vitamin C and E, as well as many important minerals such as calcium, magnesium, phosphorus and potassium. These small “red diamonds” originated from Ningxia province, which provides unique key conditions for goji plantation: the average altitude of 1,000 meters above sea level, plenty of sunshine, dry climate, and dessert weather conditions, suit goji cultivation perfectly. Goji berries from this region are regarded as the best quality in all of China. It is also cultivated in the regions of Gansu, Xinjiang, Qinghai and Inner Mongolia. Freeworld Trading has been importing and distributing good quality goji berries for more than 15 years. We work with reliable BRC certified suppliers from origin and offer Ningxia Super Select Goji berries from Zhongning (best growing area of goji) as well as Grade A goji berries from Ningxia and Xinjiang. 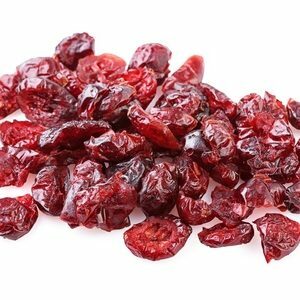 Ningxia goji berries are highly regarded in Chinese traditional medicine (Taoist), where recommended for blood circulation, as tonic for skin, in Taoist Medicine Goji is regarded as “warm” and therefore useful for balancing excessive “Yin”. 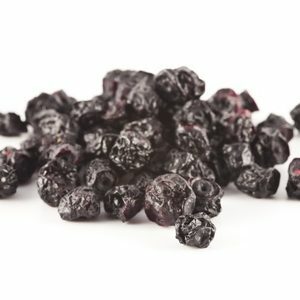 Nowadays dried berries are often eaten as snack, as muesli ingredient, as a herbal tea, added to dishes or blended into wine. How to differentiate good Ningxia goji berries from other gojis? Shape/Appearance: Ningxia goji berries have a long flat shape and a white spot at the bottom of the stalk, whereas gojis from Xinjiang, Qinghai and Inner Mongolia do not have the white spot and are mostly rounder and shorter. Hence Ningxia products look bigger in the retail pack. 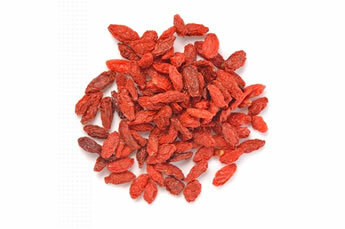 Colour: Ningxia goji berries are naturally dark red colour. Be aware, bright red coloured goji are most likely treated with Sulphure Dioxide or with artificial colour. Moisture: Ningxia maximum moisture range is 13% whereas Xinjiang/Qinghai is 14%. As a result, Ningxia goji berries should not clump together and remain free flowing. All goji berries are hygroscopic, which means they will absorb moisture from the air, as it absorb the moisture, the carbohydrate in the berry will be irreversibly changed and cannot be re dried. This is why goji should be always kept in a sealed bag/carton. Floatation: Put goji berries in a glass of water, due to longer shape and larger surface, Ningxia goji berries will normally float, whereas the other goji berries will sink in the water. Aroma/Flavour: Ningxia goji berries have a mild tangy taste that is slightly sweet but not too sweet, whereas goji berries from other origin would be much sweeter. The extra sugar content can lead to stickiness.